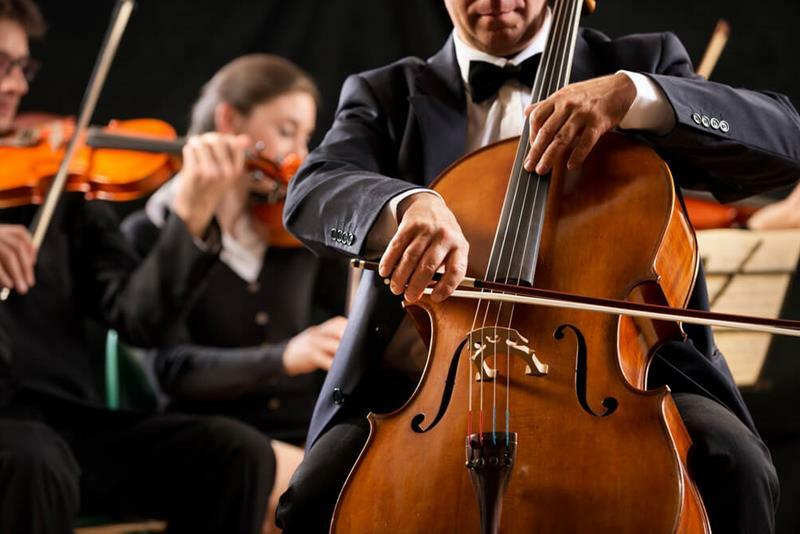 In this Prague classical concert, first-rate musicians of Prague Music Chamber Orchestra will render colorful Four Seasons by A. Vivaldi, mesmerizing Canon by J. Pachelbel, dynamic Hungarian Dance by J. Brahms and challenging Gypsy Airs by P. Sarasate. Enjoy the mastery of leading Czech musicians and let yourself be carried away by their joy of music. composed of leading musicians who play in world known orchestras such as Czech Philharmonic or Czech Radio Symphony Orchestra. Prague Music Orchestra excels with its sophisticated sound and is a representative of a highly valued interpretative art. Former concert master of the Suk Chamber Orchestra and a soloist of the New Prague Collegium Radio Symfonists. A concertmaster of the Czech Radio Symphony Orchestra. Former member of the Prague Radio Symphony Orchestra and the second violin in Czech Philharmonic orchestra, member of Prague Royal Orchestra, Berg Chamber Orchestra, Talich Chamber Orchestra, Prague Collegium, etc. Are you a group of 10 or more people? We offer special group discounts. The Hall bears the name of Karel Sladkovský - an outstanding Czech journalist and politician. The Sladkovský Hall, originally called Lecture Hall, is entirely preserved in its original form including lights, tiles, and unique silk imitation wallpaper. The Municipal House in Prague was built at the place of the former Royal Court in 1912 to celebrate the Czech nation. It is a representative building which for its splendour and beautiful decorations is one of the jewels of Prague architecture. Although the building is usually described as an "Art Nouveau" edifice it is more of a blend of neo-Baroque, neo-Renaissance, western and oriental influences and Czech Art Nouveau style. This Municipal House is, above all, a great venue for classical music concerts and one of the prime venues of the world-famous Prague Spring Festival. A wonderful surprise concert! The musicians were wonderful, played with such passion and emotion. The soloist was incredible his playing was truly magical. I was transported to another place. Bravo to all of the musicians. Thank you for a very special evening concert. Enjoyed the chamber orchestra very much. Was a bit frustrated with people clapping at inappropriate times and some general noise from the audience, but the musicians took it all in stride. They also seemed to truly enjoy playing together. Acoustics were amazing. Le concert a passé beaucoup trop vite. If the concert may extend to 1.5 hours would be even better. Samotný výkon byl velmi nádherný. Mohl jsem vybrat pouze některé kategorie z webových stránek, ale myslím, že by bylo ještě lepší, pokud by bylo možné zvolit více sedadel a balkónových sedadel, pokud je to možné. Excellents musiciens, bon choix des œuvres présentées. Seule l’interprétation des Canons de Pachelbel ne m’a pas convaincu. Durée de l’événement judicieux. We booked a concerts at municipal house in Prague. It was a group of 10 string violin musicians that played the four seasons and some other famous classical tones. They sounded really good and with them there where a violin soloist who where absolutely amazing. The way he treated his instrument was worldclass.